A Freedom Alliance Hero Hunt was held at Summerleas Hunting Preserve in Rapidan, Virginia, for Marine Corps Major Eric, a patient at Walter Reed National Military Medical Center. Duane Gardener is also a Marine Corps veteran and the son of the Summerleas preserve owners. Duane had Eric out to his family’s property one year ago for a Freedom Alliance dove hunt, and he asked the major to come again for deer season. While he receives treatment for his injuries, Eric’s wife, Melissa, and their four children live with him in a two-bedroom apartment, part of outpatient housing at Walter Reed. Melissa home-schools the children while Eric focuses on his rehabilitation. Notably, he was hosted last year to London by Prince Harry of England to compete in the inaugural Invictus Games, an international paralympics sporting event for wounded or ill service members. 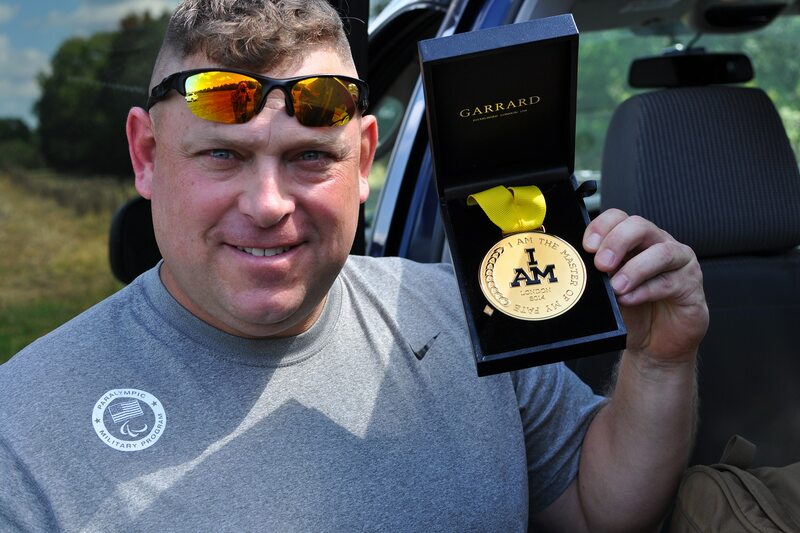 Eric took home the gold in archery, and the sport has been a pivotal element in his recovery. When Eric first came to the hospital in Bethesda, Maryland, he saw a therapist and good friend of Freedom Alliance founder Lt. Col. Oliver North, John “Doc” Fowler. When Eric pointed to the photograph of North in Doc’s office and mentioned that his father had been Colonel’s North’s running partner, Fowler contacted the colonel right away. Our founder had a Freedom Alliance staff member come out to Walter Reed to meet Eric. Since that day, the major has participated in several Freedom Alliance events, including the hunts at Summerleas. 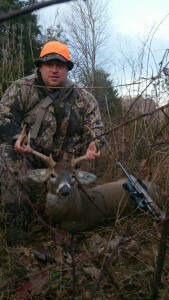 For the most recent hunt, Eric had the good fortune to take a seven-point buck to help feed his family this winter.